You can delete a user role as needed. 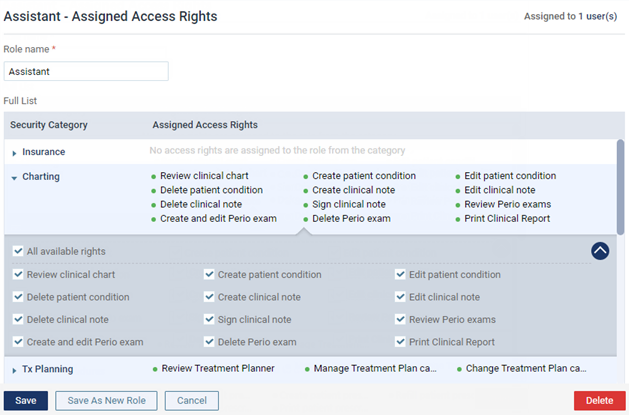 If the user role that you are deleting is assigned to any users, you must select a replacement role for each user. Click (or tap) Delete. This button is available only if your user account has the security right to "Delete Role" selected. If the role is assigned to any users (active and inactive), the User Role Deletion dialog box appears. For each user in the dialog box, select a New Role. 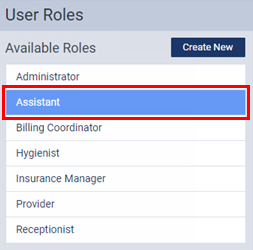 You can select the same role for all users listed (select a role for one user, and then click (or tap) Apply To All), or you can select a different role for each user listed. Then, click (or tap) Complete Deletion.